Ghana has regrettably been losing billions of dollars since the adoption of the Fourth Republican Constitution to conspiratorial plotters who take delight in fleecing the state to the detriment of the poor and disadvantaged Ghanaians. Unfortunately, however, the successive governments and their Attorney Generals have woefully failed to cooperate with other interested stakeholders to investigate, prosecute and retrieve the stolen monies from the stubbornly impenitent nation wreckers. It is for this reason that some of us are most grateful to President Akufo-Addo for showing seriousness and commitment towards the fight against corruption by establishing the Office of the Special Prosecutor with the responsibility of investigating, prosecuting and retrieving stolen monies from the corrupt public officials. Despite the criticisms, some of us are of the firm conviction that the introduction of the Office of the Special Prosecutor is a pragmatic way of tackling the rampant bribery and corruption cases head-on. It would be somewhat refreshing if the justice system descends heavily not only on the goat, cassava and plantain thieves, but as well as the hardened criminals who hide behind narrow political colorations devoid of patriotism. If you may recall, somewhere in 2010, some NDC executives and other policy makers decided to work as the agents of companies which were litigating against the Government of Ghana over alleged judgement debts. Back then, the NDC self-styled agents who were fronting for those companies would carry loads of documents and hop from one radio/TV station to another in a desperate attempt to persuade discerning Ghanaians into believing their shrouded scheming guiles. I recall vividly how one current NDC MP, who also happened to be a deputy minister in the erstwhile Mills/Mahama administration relentlessly advocated for a known Ghanaian automobile company over an alleged GH1.5 billion judgement debt. The said clamorous Member of Parliament argued forcefully that in 2001, the then Kufuor’s government abrogated a contract the Rawlings’s government had with the said automobile company. The MP, whose main responsibility, so to speak, is to represent his constituents in the Parliament of Ghana, rather unblushingly chose to represent a private company’s interest. The vociferous Member of Parliament insisted back then that the Government of Ghana had breached the contract and must therefore be prepared to pay the judgement debt of GH1.5 billion to the said automobile company. He, however, maintained that the management of the company were willing to negotiate the claim downwards with the Government of Ghana. However, the whole thing turned out to be a conspiratorial plot to fleece the nation. It was indeed a dubious attempt to steal from the national purse. How pathetic? It came to light that somewhere in 1999, the then Rawlings’s government contracted the said automobile company to import 86 Mitsubishi Galloper (popularly known as Pajero in Ghana) to be distributed to the local assemblies at the agreed cost of $17 million. However, the 2000 edition of the Mitsubishi never arrived in Ghana until 2001, at the time the NDC government had left office. So upon a stern inspection by the incoming NPP government, it emerged that the vehicles were not up to the required standards and specifications. The then NPP government refused to take the delivery of the vehicles. According to the Kufuor’s government, the supposedly new vehicles were never new after all. Suffice it to state that they were slightly used before shipping to our shores. In addition to the poor standards of the vehicles, there were no authentic documents to ascertain the actual cost of the 86 vehicles, hence the refusal by the then NPP government to accept the delivery. Clearly, the then NDC government signed the contract without due diligence. How can the supposedly highly educated men and women put pen to paper without due diligence? You see, dearest reader, even my mother, who had had no education whatsoever, would not put pen to paper without applying a little bit of critical thinking. In fact, my mother would prudently ask someone to read thoroughly the details of the contract before putting pen to paper. So if the men and women who are supposed to know better but persistently put pen to paper without due diligence, then we have a long way to go as a nation. In actual fact, there was no judgement debt to be paid to the said automobile company contrary to the wild claims by the self-styled judgement debt agents that the government was negotiating with the company to settle a reduced amount in respect of the GH1.5billion initial judgement debt. However, it was reported that the then NDC government paid a staggering amount of over GH¢8.4million to the company as judgement debt. It was alleged that the first instalment of GH¢2.5million was paid by the NDC government to the company on 14th May 2010. While the subsequent payment of GH¢2.5million was paid on 16th July 2010. 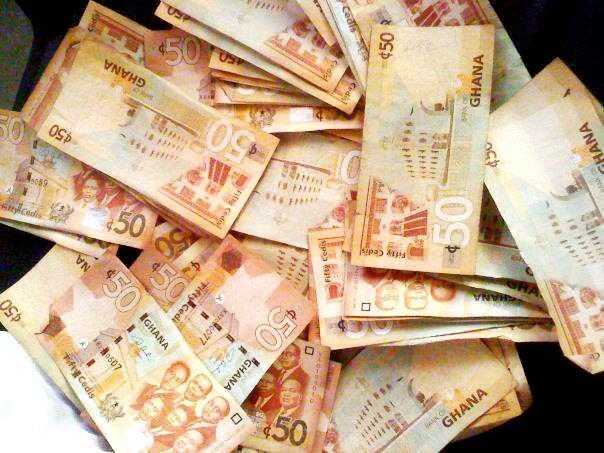 The last instalment of GH¢3.379million was paid on 2nd October the same year. In spite of the fact that there was no such thing as judgement debt, some public officials who had sworn solemnly to defend the nation were ever prepared to testify against Ghana over a dubious judgement debt. It is extremely disheartening to see our men and women who are supposed to know better defending the indefensible because of their parochial interests. It is our fervent hope and prayers that the Special Prosecutor would keep his composure and earnestly pursue the enemies of the state to the delight of all patriotic Ghanaians.